Bailey is 12 years old, is very sweet and loves leaning into your leg for belly rubs or spooning on the floor. He has no problem with stairs, but will jump off the bed, so you have to watch him. We have wood floors and a three foot tall bed, not a good mix for jumping off with delicate leg bones. He knows the word “outside” and will go in and out with no problem. He lets you know when he’s ready to come back in by either scratching or giving a low bark. The only other time he barks is for food, otherwise he is quiet as a mouse. 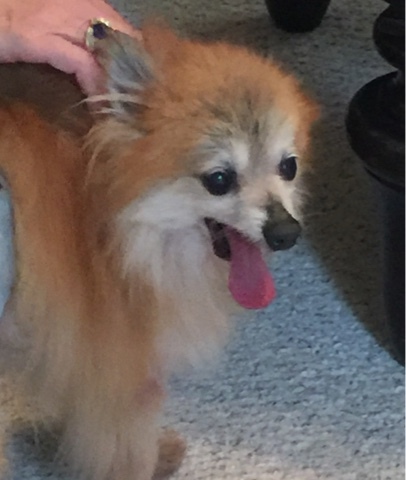 The vet said he was in pretty good overall shape, has cataracts in both eyes but still sees ok, was a bit thin, but has a strong heart. His nails were really long, but after they were cut back, he was able to walk much better. He does have a physical defect – he only has half a bottom jaw (see pictures/video) ! You would never know it the way he gobbles down a bowl of kibble! He doesn’t like anyone looking in his mouth. As far as we could see at the vet exam, he has maybe a tooth or two in there, but is basically toothless. It was the vet’s opinion that Bailey was probably born this way or has at least been this way for many years, as he has adapted very well….. he curls his tongue up in such a way as to keep it in his mouth really well, although when he gets excited, his tongue flaps wildly! He doesn’t drool at all. He obviously should eat soft food, but he does grab kibble from the other dogs bowl. He was an even 7 lbs at his vet visit, but I can tell that he has been gaining weight since he’s been here. He was covered in fleas when he came, which I’m sure was the cause of some of his coat loss, but his coat has been coming in thicker in the last month as well. He would do best in a home with older, low key, people. He is content to just eat, sleep, and hang out. There are some rescues that seem to exude gratitude for a full belly and warm bed, Bailey is one of those. He personifies contentment. Check back for updates often. We are always adding more pictures and videos. 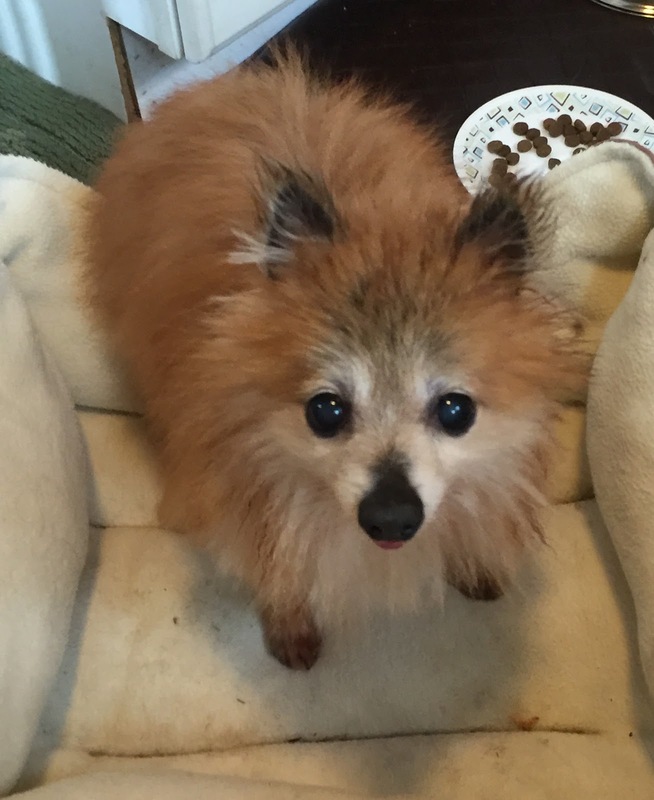 2016 Pomeranian Club of Central Virginia Calendars are here!!! Bookmark for all of your holiday shopping!! Cash back to Ppomeranian Rescue!